A Kettering man accused of murdering his partner’s daughter has made a second court appearance. 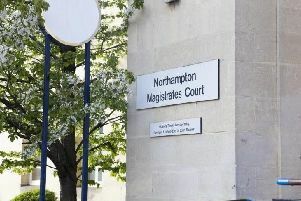 Ryan Coleman, 22, of no fixed address, appeared at Northampton Crown Court today (Tuesday) charged with murdering one-year-old Evelyn-Rose Muggleton. Coleman, who was wearing a blue jumper and grey jogging bottoms, spoke to confirm his name and was remanded in custody. He will next appear before a judge for a plea hearing on October 5. Evelyn-Rose was found unresponsive at a property in Regent Street on April 26 and died three days later. Northamptonshire Police has made a mandatory death or serious injury referral to the Independent Office for Police Conduct (IPOC) in relation to the child’s death.